Trusts can be a difficult and confusing subject. There are many types, serving multiple purposes. Parents of disabled adults often set up special needs trusts to provide for their children should something unforeseen happen to them or after their death. Trusts for the elderly are known by different names in different states, (i.e. in Illinois, these trusts are called OBRA Trusts.) and again, the basic premise and promise of these trusts is to provide and fund the person’s care needs. The word “trust” implies you can count on it to do what it’s supposed to do. But can you? In adult abusive guardianship, these trusts are often shielded from the oversight of the court as the trusts drain our country’s Medicaid system and unjustly enrich greedy guardians and attorneys. An an example, if a ward has an ample estate, the abusive guardian puts the lion’s share of the estate into a trust; and that trust specifies the funds can only be used for the care and medical needs of the ward. It sounds like a great idea. But, what people don’t find out until later is the guardian then continues to quickly bill out the rest of estate and drive the ward into indigence and onto Medicaid. (Medicaid oversight of this practice is currently non-existent according to the Medicaid offices NASGA has contacted.) Medicaid then pays for the care needs of the ward through end of life — in other words, Mr. and Mrs. Taxpayer pick up the tab while the ample estate lies dormant in the trust and the guardian and attorneys bill exorbitant administrative fees against it in a never-ending stream of income. In effect, the guardian has “protected” the ward’s estate for him/herself. Wards, who could afford to pay for their care or even afford to be cared for at home, instead end up in lesser facilities. Medicaid pays for the ward’s basic needs; but no extras like private pay therapy or caregivers. The article below explains this practice clearly and comprehensively and we take our hats off to the author, Katia Savchuk for great reporting, and to the subject of her article, former Judge Kristin Booth Glen. When Judge Kristin Booth Glen walked into her Manhattan Surrogate’s courtroom one day in 2007, she had no idea she was about to challenge the nation’s top banks on behalf of tens of thousands of disabled people. Before her stood lawyer Harvey J. Platt, who was petitioning to become the legal guardian of Mark Christopher Holman, a severely autistic teen who lived in an institution upstate. Holman had been left an orphan nearly three years earlier after the eccentric millionaire who adopted him passed away. According to doctors, he had the communication skills of a toddler, unable to bathe, dress, or eat by himself. But before Judge Glen would grant this seemingly perfunctory petition, she had a few questions for Platt. “How often have you visited Mark Holman?” she asked the lawyer. “Since his mother died, I have not visited him,” said Platt. It was around that time that Platt helped Mark’s mother, Marie Holman, draft her will and create trusts for him and his older brother. A decade later, when she was dying, Platt promised Marie he’d apply to become Mark’s guardian. “And have you visited the institution which he currently resides in?” Glen asked. This didn’t sit well with Judge Glen. 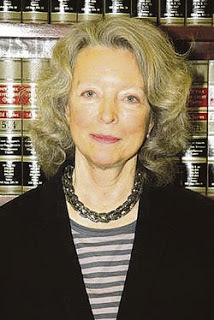 When it came to signing away the rights of disabled people to guardians, she was perhaps the most cautious judge in New York. But what came next would floor her. Platt informed her that Mark’s trust had reached nearly $3 million. But while his trustees—Platt and JP Morgan Chase—had collected thousands of dollars in commissions, they hadn’t spent a penny on Mark. Medicid covered his basic care at the institution upstate, but neither the lawyer nor the bank had considered how his mammoth trust might further aid his quality of life. As she spoke, Glen could not have predicted that the case would become a five-year obsession for her. Or that she was about to disrupt a lucrative trade in which some trustees sponge commissions off wealthy disabled people—while doing little to enhance their care. Special-needs trusts hold billions of dollars around the country. The funds are set up to benefit people with chronic disabilities, while typically allowing them to keep government benefits like Medicaid. But there’s little oversight to ensure that trustees are spending the money properly—or even spending it at all. The trusts number in the tens of thousands and are held by a long list of banks. Wells Fargo, for example, has more than 1,000 trusts with a total value of more than $1 billion. And as more people with disabilities live longer, their value continues to grow. They’re usually funded with an inheritance or court settlement. But in order for beneficiaries to stay Medicaid-eligible in New York, trustees must have absolute discretion over their money. The problem: There are virtually no rules governing whether trustees are spending in the best interests of their clients. Worse, the courts can only review these cases if someone complains. Marie Holman, Mark’s adoptive mother, grew up on a muddy dairy farm in Jefferson, Ohio. The family was poor, even by Great Depression standards, recalls niece Sharon Awad. Marie and 11 siblings shared a farmhouse without plumbing. Marie looks tall and thin in family photos, with sunny blond hair and a cute bulb nose. She kept her fingernails long and red, even while she helped milk the cows. During World War II, she managed to get a job as a general’s secretary. Afterward, she ran off to Hollywood with her younger sister Betty to become an actress. When that didn’t work out, Marie moved to New York, got a nose job, and became a professional dancer and runway model. She lied about her age and stayed on the catwalk until she was 40, long after most models age out. She fell in love with a wealthy Jewish businessman named Charles Holman. Marie never told her Catholic parents about the marriage. Even Betty Brooks, Awad’s mother, didn’t quite know what her sister’s husband did, except that he did it well. When Marie came back to Ohio for weddings and funerals, she looked as if she’d gotten lost on the way to a gallery opening. In family photos, she stood a head taller and several sizes slimmer than the other women, one foot pointed in front of the other as if posing for a photo shoot. She wore her platinum-blond hair in a poofy bun and layered on thick mascara. She always wore black. Soon after she married, Marie had a miscarriage, then discovered she couldn’t bear children. Sorrow hung over the couple. Marie found satisfaction in work, putting herself through secretarial school and working her way up to office manager in a prominent investment bank. Her boss took her under his wing, and she learned to invest when it was something women didn’t do. She made her own fortune betting on stocks like Johnson & Johnson. In the late 1980s, when Charles was dying, he told Marie that he didn’t want her to be alone, that she should finally have the child she always wanted. Marie went to an adoption agency soon after he died. She told them she was 47, by then a rather wild claim. When they said no, Marie decided on an under-the-table adoption. Faking her age again, she found a lawyer who would broker a deal: $15,000 plus hospital bills in exchange for a poor woman’s newborn. In the end, the woman took the money and ran. Marie was heartbroken. But she didn’t give up. The lawyer found another poor couple burdened with drug addiction and too many children. This time she got a little boy, whom she named Charles. Marie was 66. She raised the child in her rent- controlled Upper West Side apartment, decorated floor to ceiling in lavender. She could afford much better, but she was raised with frugality. She wouldn’t replace a holey shag rug until she tripped on it. A year later, Marie got a call from the lawyer. Charles’s birth mother was pregnant again. Did Marie want a brother for her son? 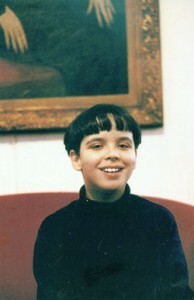 Mark was a good-looking boy with olive skin, dark hair, and a big smile. He looked Greek or Italian, but he was born with an enlarged head. Marie knew he’d have challenges. She took him home when he was five days old. Though a nanny changed and bathed him, Marie spent all of her free time with Mark, taking him to the park or doing exercises to improve his memory and communication skills. The boy was diagnosed with autism when he was seven. Doctors later discovered a seizure disorder, and that Mark was missing part of his brain. Marie took him to countless specialists and spent lavishly on treatment. Mark wouldn’t learn to speak, but he pointed and made sounds to let Marie know he was hungry or wanted something. When she smiled, he smiled back. “I know he understands me,” she would say. When Mark was around nine, his mother sent him to an expensive special needs school. She fought to have the government pay the costs and won, according to Awad. When Mark traveled on the school bus alone, Marie gushed with pride. She didn’t like to think about old age and death. But when Marie was in her 70s, her sister convinced her to face facts. Mark was only seven. What would happen to him as an orphan? In 1995, Marie went to a talk on estate planning at a Manhattan hotel. The speaker was Harvey Platt, an estate lawyer who had written several books on trusts. Then in his 60s, Platt co-chaired a trust for the New York State Association for Retarded Children, the nation’s largest nonprofit supporting people with intellectual disabilities. Marie approached Platt after the lecture. His face was framed by thick, oval glasses, and he had the manner of an old-fashioned family attorney. Platt agreed to help Marie create trusts for Mark and Charles. When she died, her sister would become Mark’s guardian, with Platt as a backup. Income from Mark’s trust was to be spent on his “care, comfort, support and maintenance.” Marie also authorized them to give money to “any facility he may be residing in and/or to any organization where he may be a client or a participant in any program(s).” And if Marie and Brooks both died, Platt and JP Morgan Chase would take over as trustees. Marie’s health would take a turn for the worse. In 2000, she tripped on ice and hurt her back. She never walked again. Soon after, Brooks convinced Marie to move to a bigger place. She bought a corner condo in Trump Place. She placed a red leather sofa in the living room. Above it, she hung a painting of herself in a black evening gown, her trademark bun high on her head. In 2003, Marie was diagnosed with terminal cancer. Unable to care for Mark, then 14, she placed him in the Anderson Center for Autism in upstate New York. The nonprofit institution, which had been around for nearly 80 years, provided housing, schooling, and life-skills training. Within two years, Marie was in the hospital. She was 85, and her trademark bun had grown disheveled. Streaks of mascara gave her raccoon eyes. She died in 2005 in the Florence Nightingale Health Center in Harlem, almost 10 years to the day after signing her will. Her estate was worth $12 million. Since Brooks had died the year before, Platt and JP Morgan took over Mark’s trust. The next year, fulfilling what he called a “deathbed” promise to Marie, Platt petitioned to become Mark’s legal guardian. The petition didn’t find a warm reception in Judge Glen’s courtroom. When she heard that Platt hadn’t visited Mark, inquired about his needs, or spent any money on him, she adjourned the hearing. She then summoned JP Morgan to court to hear the bank’s side of the story. In October 2008—during the heart of the banking crisis—a JP Morgan representative appeared before the judge. Why hadn’t the bank inquired about Mark’s needs or spent the trust funds on him? Glen asked. Glen ordered Platt and JP Morgan to visit Mark, meet with his caregivers, and figure out how the trust could be used to fulfill his needs—or hire a professional to make recommendations. Families are often urged to hire banks to safeguard their children’s trusts. A few institutions, including Wells Fargo andMerrill Lynch, have specially trained officers. But many have little expertise in actually helping the disabled. That leaves people like Mark to slide under the radar of trust officers handling hundreds of funds, says Mark Haranzo, a partner at the New York law firm Withers Bergman. “The squeaky wheels are getting the attention and the silent ones are ignored,” he says. In some cases, Koerner suspects, banks pay out less than they should because commissions are based on the value of the trust. Big financial institutions may also not have the structure in place to pay for small, daily expenses. “JP Morgan probably does a very good job in terms of being a responsible steward and investing, but it would probably be difficult for them to give that type of attention to think about ordering clothes for someone, paying a cable bill, getting a computer for them,” says Kelly McDonald of Secured Futures Trust, a Phoenix, Arizona, nonprofit. Ideally, the guardian and trustee serve as checks on each other. But in Mark’s case, they were one and the same. The Anderson Center for Autism sits on a sprawling, wooded campus near the Hudson River in Staatsburg, New York. Mark had lived there for five years by the time Robin Staver, a professional care manager the trustees hired, visited him two months after JP Morgan and Platt appeared in court. Mark, who was 20, wore earmuffs to block noises that to him seemed painfully loud. He had dark, almond-shaped eyes, a delicate nose, and pouty lips that opened into a bright smile. Staver had been a care manager for older adults and disabled people for two decades. Before she came to assess Mark’s needs, no one had visited him at the school since before his mother died, and he’d never left the institution. When most residents went home for Christmas, Mark stayed behind. Anderson had no idea the young man was the beneficiary of a multimillion-dollar trust. Mark needed help with basic tasks, like brushing his teeth and getting dressed. He didn’t speak, but he seemed to respond to questions by using picture symbols and gestures. Mark’s medication may have actually made him worse, Staver discovered. Keppra, his anti-seizure medicine, has side effects that increase aggression. Mark would often spit, throw things, or hit himself, and had to be closely monitored. There was a time-released version of the medication with fewer side effects, but it wasn’t covered by Medicaid. The trustees agreed to pay for some of the items Staver recommended, including a computer, headphones, clothing, and gift certificates for restaurants. They also hired Staver to assess Mark four times a year. In June 2009, Glen was finally ready to appoint Platt as Mark’s guardian, but with strings attached: He would have to report to the court every year. New York’s guardianship law for intellectually disabled people, known as Article 17-A, is one of the nation’s few that doesn’t require periodic judicial review. “If a guardian was appointed 15 years ago, we have no idea whether the kid’s dead, alive, tied to a mattress in their own crap,” Glen says. Mark, Glen wrote in her opinion, could have remained completely isolated in an institution without his resources being spent to help him reach his potential. From now on, she decreed, all guardians appointed in Manhattan would have to report annually. Glen didn’t stop there. She wondered how many Marks were out there, and how many trustees were getting away with not spending money on them. By chance, another special-needs case had come across her docket that year. A severely disabled woman had a large fund managed by a corporate trustee. It seemed no one had evaluated her for years, so Glen sent a guardian ad litem to visit her. She lived very comfortably, with a full-time caretaker and chauffeur. But Glen found out that the woman never went outside because she couldn’t hold her head up. The trustee never visited her and had no idea she needed a wheelchair that could support her head, or that such a wheelchair existed. “They were spending a lot of money, but they weren’t spending money in a smart way,” Glen says. That same year, Glen ordered Mark’s trustees to open their books. In 2010, Mark moved into his own room at the Anderson Center.. During the day, he exercised and worked on communication and vocational skills, like sorting and packaging. He didn’t do well with change, and at first he hit staff and himself. But soon, Staver noticed improvements. Mark had made “significant progress” using pictures to convey words, sentences, and questions. For the first time, he could dress himself, eat with regular utensils, and drink from a cup. He was still aggressive, but he was also playing outside with a ball, watching videos, and eating at restaurants accompanied by caregivers. A year later, Mark no longer needed a safety harness to restrain him during an rides. He could now brush his teeth without help, take laundry in and out of the washing machine, put his plate in the dishwasher, and review his daily schedule. He was using a trampoline, reclining bike, and Nintendo Wiii the trustees had bought him, and his Xbox helped him interact with others. He left the facility to eat in restaurants, go bowling, get haircuts, and shop. Staff began planning a vacation to Disney World or the Autism on the Seas cruise. One day, as Staver left Mark’s classroom, she waved and said, “Bye!” Mark had never spoken in his life, so she expected no reply. In late 2012, as Glen neared mandatory retirement at age 70, she decided to follow up on Mark’s case. She discovered that it had been two years since the trustees filed documents showing how they’d managed Mark’s trust. The trust was now worth $3.6 million. In the five years after Marie’s death, Platt earned more than $26,000 in commissions, and JP Morgan received more than $52,000. But through March 2010, they had only spent $3,525 on Mark after Glen intervened. In December, on her last day as a judge, Glen wrote her final chapter in Mark’s case, which had implications that would reach far beyond him. She ruled for the first time that banks and other trustees have to figure out what disabled people need and spend money to improve their lives. Like many of her opinions, this one was unusually detailed, reading more like a novella than a court record. “The history reveals a severely disabled, vulnerable, institutionalized young man, wholly dependent on Medicaid, unvisited and virtually abandoned, despite a multi-million dollar trust left for his care by his deceased mother,” she began. According to Glen, in the four years since trustees hired Staver and attended to Mark’s needs, the intervention “has dramatically improved the beneficiary’s quality of life and his functional capacity to enjoy what is now a near ‘normal’ existence in the community. Glen’s decision sent ripples through the banking industry and disability rights community. Glen’s decision doesn’t fix gaps in oversight, but it gives advocates and judges around the country something to point to when assessing what trustees must do. In her opinion, Glen demanded that JP Morgan and Platt provide an updated accounting of Mark’s trust. She also recommended that both have their commissions denied or reduced. “This is very upsetting to me,” Platt says. Now 81, he sounds exhausted when he speaks of Mark’s case from his Upper East Side office. His delays in visiting Mark and filing paperwork were largely due to health problems, he says. Platt cared for his ill daughter, who died in 2007, and his wife, who was sick for seven years before she died in 2012. He, in turn, has been treated for leukemia and prostate cancer. In other words, Anderson or even the court may have been at fault for insufficient treatment prior to his appointment as guardian. Nearly five months into her retirement, Glen sits at the neighborhood diner where she orders “the usual”: bacon, scrambled eggs, and sliced tomatoes. She’s now a professor at the City University of New York School of Law, where she was once dean, and has spent the last few months speaking about Mark’s case and others at events around the country. She dismisses the idea that Mark improved simply because he grew older. “Had he not gotten these interventions, he would not be in that situation.